I started creating Angular 2 applications when it was in beta (back in March). To keep up with Angular 2's changes, I wrote a tutorial about developing with RC1 in June. Earlier this month, RC5 was released and many things changed once again. I think Scott Davis sums it up nicely in a tweet. To keep up with the rapid pace of change in Angular 2, I decided to write another tutorial, this time using Angular CLI. The biggest change I found since writing the last tutorial is testing infrastructure changes. Since Angular's Testing documentation hasn't been updated recently, hopefully this tutorial will help. Below is a table of contents in case you want to skip right to a particular section. 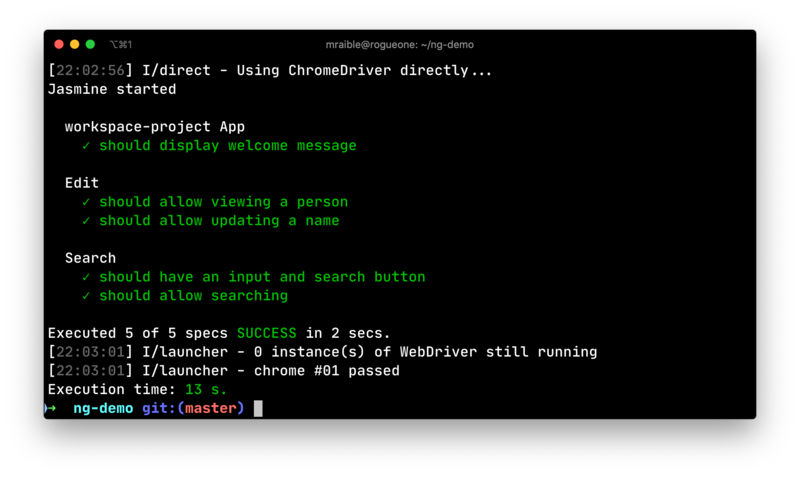 You'll build a simple web application with Angular CLI, a new tool for Angular 2 development. You'll create an application with search and edit features. A favorite text editor or IDE. I recommend IntelliJ IDEA and its Angular 2 TypeScript Live Templates plugin. Angular CLI installed. 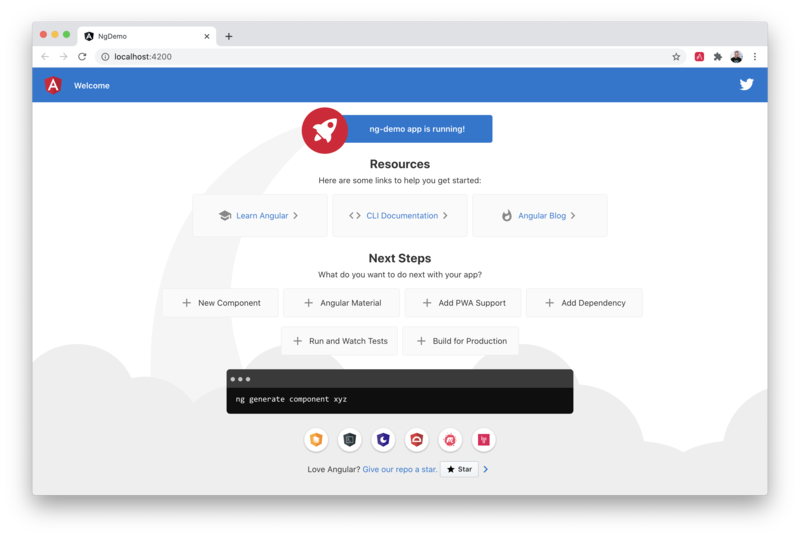 If you don't have Angular CLI installed, install it using npm install -g angular-cli@latest. The latest release of Angular CLI (beta 10) uses Angular 2 RC4. Because of this, I used the master branch of Angular CLI to create this tutorial. To do this, clone angular-cli and run npm link in the directory you cloned it into. If you have issues, see #1733. Angular Augury is a Google Chrome Dev Tools extension for debugging Angular 2 applications. I haven't needed it much myself, but I can see how it might come in handy. 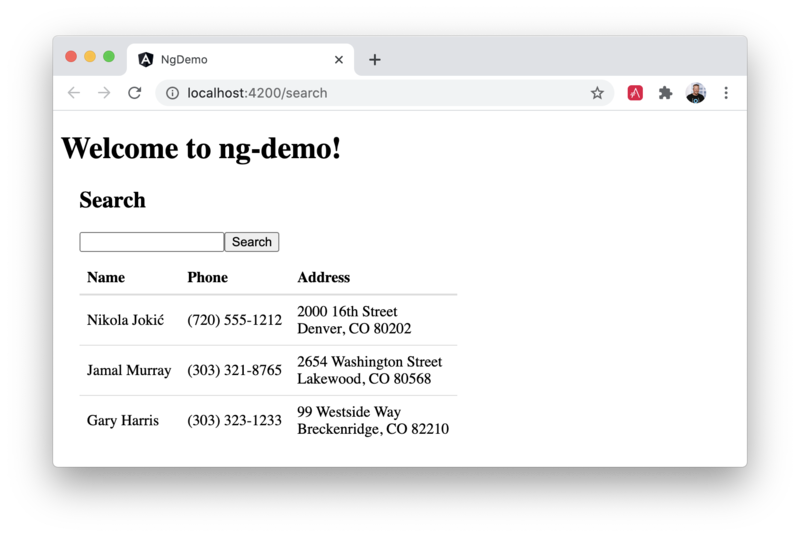 This will create a ng2-demo project and run npm install in it. It takes about a minute to complete, but will vary based on your internet connection speed. You can see the what version of Angular CLI you're using with ng --version. To add a search feature, open the project in an IDE or your favorite text editor. For IntelliJ IDEA, use File > New Project > Static Web and point to the ng2-demo directory. In a terminal window, cd into your project's directory and run the following command. This will create a search component. In previous versions of CLI, you could generate a route and a component. However, since beta 8, route generation has been disabled. This will likely be re-enabled in a future release. Create src/app/app.routing.ts to define your routes. Without the last path to redirect, there's a Cannot match any routes: '' console error. In src/app/app.component.html, add a RouterOutlet to display routes. To allow navigation to the SearchComponent, you can add a link in src/app/app.component.html. If you still have ng serve running, your browser should refresh automatically. If not, navigate to http://localhost:4200, and you should see the search form. 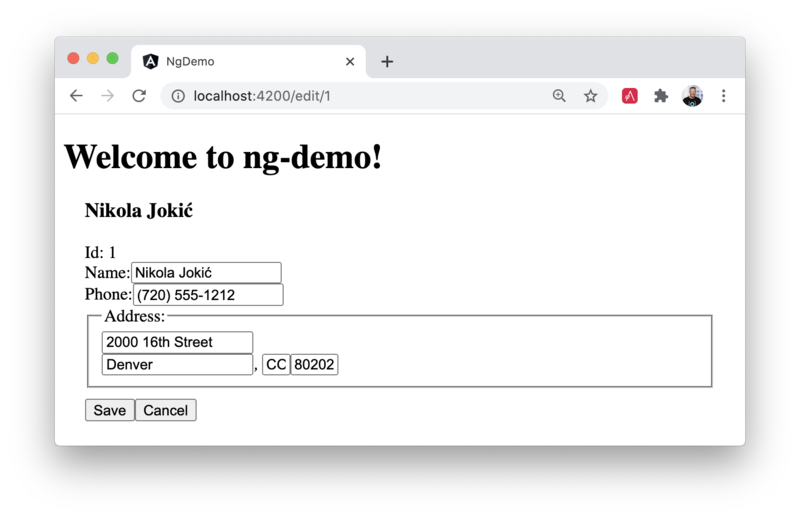 This section has shown you how to generate a new component to a basic Angular 2 application with Angular CLI. The next section shows you how to create a use a JSON file and localStorage to create a fake API. Move the generated search.service.ts and its test to app/shared/search. You will likely need to create this directory. Then, create src/app/shared/search/data/people.json to hold your data. Modify src/app/shared/search/search.service.ts and provide Http as a dependency in its constructor. In this same file, create a getAll() method to gather all the people. Also, define the Address and Person classes that JSON will be marshalled to. You can now add query and searchResults variables. While you're there, modify the constructor to inject the SearchService. Then implement the search() method to call the service's getAll() method. At this point, you'll likely see the following message in your browser's console. ORIGINAL EXCEPTION: No provider for SearchService! To fix the "No provider" error from above, update app.component.ts to import the SearchService and add the service to the list of providers. Now clicking the search button should work. To make the results look better, remove the <pre> tag and replace it with a <table>. Then add some additional CSS to improve its table layout. But wait, we still don't have search functionality! To add a search feature, add a search() method to SearchService. Modify search.component.html to add a click handler for editing a person. Unfortunately, this doesn't work with RC5. Another issue is adding href="" causes the page to refresh. Without href, the link doesn't look like a link. If you know of a solution to this problem, please send me a pull request. Then add onSelect(person) to search.component.ts. You'll need to import Router and set it as a local variable to make this work. Update src/app/edit/edit.component.html to display an editable form. You might notice I've added id attributes to most elements. This is to make things easier when writing integration tests with Protractor. Modify SearchService to contain functions for finding a person by their id, and saving them. While you're in there, modify the search() method to be aware of updated objects in localStorage. The <form> in src/app/edit/edit.component.html calls a save() function to update a person's data. You already implemented this above. The function calls a gotoList() function that appends the person's name to the URL when sending the user back to the search screen. Since the SearchComponent doesn't execute a search automatically when you execute this URL, add the following logic to do so in its constructor. You'll want to implement OnDestroy and define the ngOnDestroy method to clean up this subscription. After making all these changes, you should be able to search/edit/update a person's information. If it works - nice job! Now that you've built an application, it's important to test it to ensure it works. The best reason for writing tests is to automate your testing. Without tests, you'll likely be testing manually. This manual testing will take longer and longer as your application grows. In this section, you'll learn to use Jasmine for unit testing controllers and Protractor for integration testing. Angular's testing documentation lists good reasons to test, but doesn't currently have many examples. Modify src/app/shared/search/search.service.spec.ts and setup the test's infrastructure using MockBackend and BaseRequestOptions. If you run ng test, you will likely see some errors about the test stubs that Angular CLI created for you. You can ignore these for now. Add the first test of getAll() to search.service.spec.ts. This test shows how MockBackend can be used to mock results and set the response. The test below should be on the same level as beforeEach. Notice that tests continually run as you add them when using ng test. You can run tests once by using ng test --watch=false. You will likely see "Executed 5 of 5 (1 FAILED)" in your terminal. Add a couple more tests for filtering by search term and fetching by id. Create src/app/shared/search/mocks/search.service.ts and populate it with spies for each method, as well as methods to set the response and subscribe to results. Alongside, create routes.ts to mock Angular's Router and ActivatedRoute. With mocks in place, you can TestBed.configureTestingModule() to setup SearchComponent to use these as providers. Add two tests, one to verify a search term is used when it's set on the component, and a second to verify search is called when a term is passed in as a route parameter. After adding these tests, you should see the first instance of all tests passing (Executed 8 of 8 SUCCESS). Update the test for EditComponent, verifying fetching a single record works. Notice how you can access the component directly with fixture.debugElement.componentInstance, or its rendered version with fixture.debugElement.nativeElement. You should see "Executed 8 of 8 SUCCESS (0.238 secs / 0.259 secs)" in the shell window that's running ng test. If you don't, try cancelling the command and restarting. Executed 1 of 1 spec SUCCESS in 0.684 sec. Create a e2e/edit.e2e-spec.ts test to verify the EditComponent renders a person's information and that their information can be updated. Run ng e2e to verify all your end-to-end tests pass. You should see a success message similar to the one below in your terminal window. If you made it this far and have all your specs passing - congratulations! You're well on your way to writing quality code with Angular 2 and verifying it works. 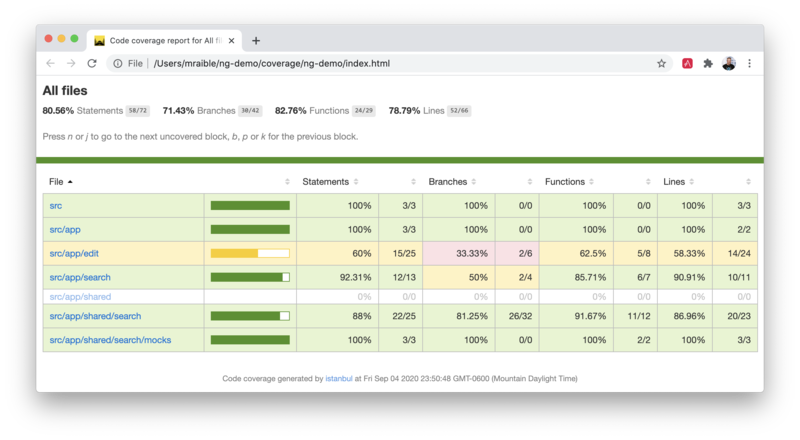 You can see the test coverage of your project by opening coverage/index.html in your browser. You might notice that the new components and service could use some additional coverage. If you feel the need to improve this coverage, please send me a pull request! At the time of this writing, Angular CLI did not have any continuous integration support. However, it's easy to add with Travis CI. If you've checked in your project to GitHub, you can easily use Travis CI. Simply login and enable builds for the GitHub repo you created the project in. Then add the following .travis.yml in your root directory and git push. This will trigger the first build. Here is a build showing all unit and integration tests passing. A completed project with this code in it is available on GitHub at https://github.com/mraible/ng2-demo. If you have ideas for improvements, please leave a comment or send a pull request. This tutorial was originally written using Asciidoctor. This means you can read it using DocGist if you like. I hope you've enjoyed this in-depth tutorial on how to get started with Angular 2 and Angular CLI. Angular CLI takes much of the pain out of setting up an Angular 2 project and using Typescript. I expect great things from Angular CLI, mostly because the Angular 2 setup process can be tedious and CLI greatly simplifies things. It seems Angular development will be faster and easier with Angular CLI. I ran into a couple hiccups. Otherwise, thanks for the intro to Angular 2! Thank you for the tutorial. This help me a lot to implement jasmine to one angular 2 project! Nice tutorial! 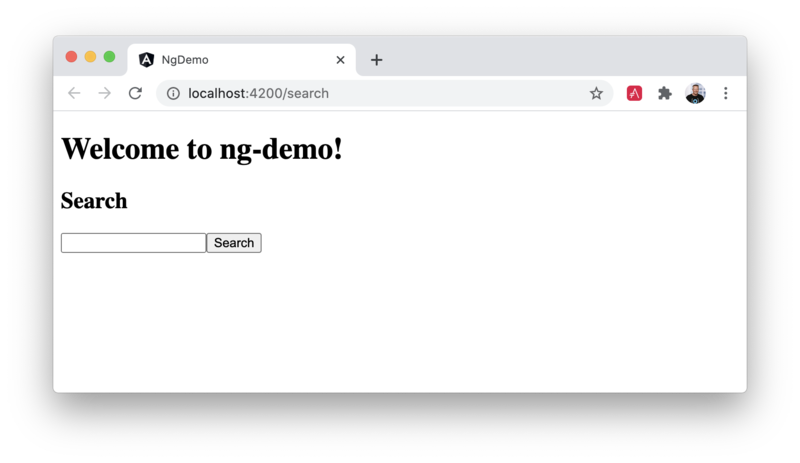 ng cli seems to be resourceful, this example deploys the app to node js, how difficult is it to deploy to spring boot? Ricardo: Do you want to deploy it in as part of a Spring Boot app, or as a separate app that talks to Spring Boot? JHipster 4 has Angular 2 support and includes the Angular app in its deployment. 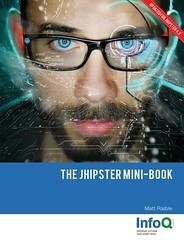 I wrote an article about Getting Started with JHipster 4 last week. Next week, I hope to publish a tutorial on how to build an Angular CLI app that talks to Spring Boot. It's similar to this blog post, but talks to Spring Boot instead. Matt: I was looking to deploy the angular 2 app in the same spring boot war. I noticed that in JHispter you make use of the maven plugin : frontend-maven-plugin , that did the trick to build the angular 2 app and add that build to the spring boot package.